Over the years, the funeral profession has brought me to places I never imagined I would be. I am routinely asked to enter into situations where the family unit is under great stress, at a time when the pain and strain on the family is at an extreme. I am asked to help people travel down a road that even I have not yet traveled. Day after day, there are new situations, new personalities, new pains, struggles and new stories. I’ve been directed to answer the big questions about life and death. At times, I have struggled with how to bring these ideas into my everyday life for those that I serve. It’s been like a master class in life, but after over thirty-five years I realize that it has taken its toll. My body is sacrificially scarred from the emotional and physical trauma of people’s lives. Yet at this point in my life, I somehow feel a strength and resolve, a new resurgence of energy and renewal. Although my body can’t take the pace as it once did, it has found a new rhythm and a new song to sing—and it is good. It is about passion, direction, movement, and love of our connection. In this new place there have been many new lessons, new awakenings and sense of peace. The old adage, “energy follows thought,” rings very true for me. Whatever I put my attention on is brought forth, whether it is lack or abundance, pain or joy. Thanks for sharing these thoughts, Mark. 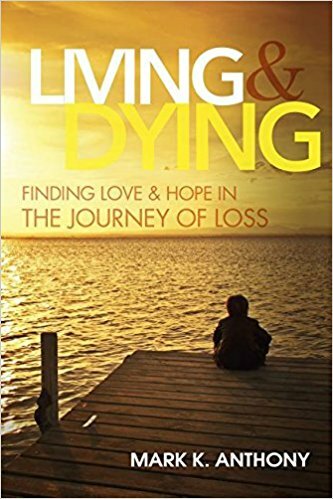 The pain people feel when loosing a loved one can be an important agent to direct them to a more spiritual perspective on life. This is the path we are all on, until we fully know that only the love of God is real. The scarring is only temporary, an outer concept, the pearls of wisdom gained from the experiences are lasting forever. Previous Previous post: Get a map!